I have a brand new purpose built studio with 50 square meters of gorgeous space. It is totally private and nobody will disturb us. No need to spend money on a hotel room as I have created that boudoir look and I keep my husband busy building customised sets. 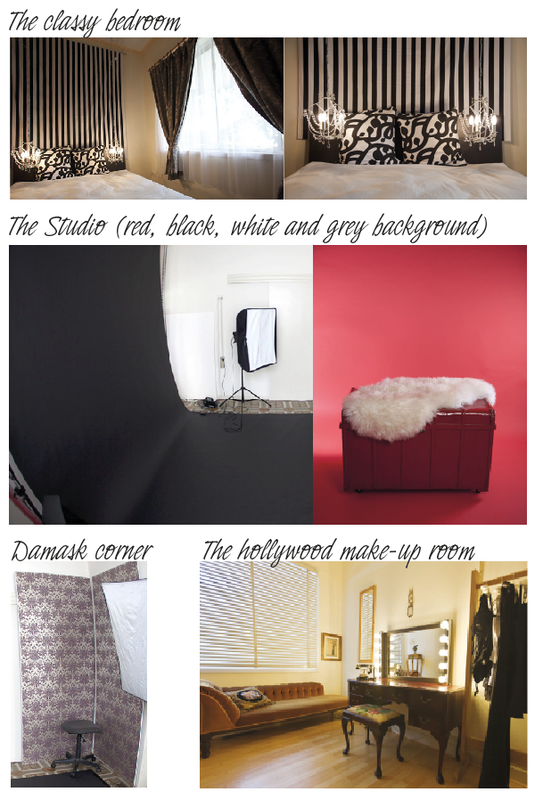 But of course, you are more than welcome to book a hotel room if you want a different look to what we have available in my studio.